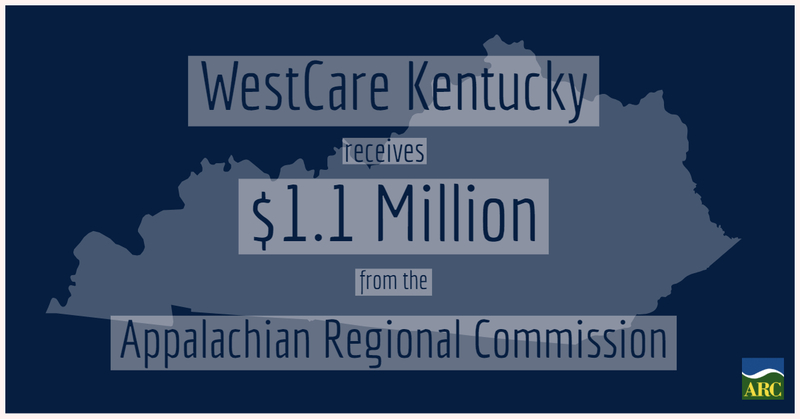 FRANKFORT, Ky. (April 5, 2019) – The Appalachian Regional Commission (ARC) has announced a $1,136,000 grant for WestCare Kentucky, Inc. in Pike County. The investment seeks to strengthen the response to the ongoing substance abuse crisis, according to a news release issued by ARC on Wednesday. The federal funds will be used to renovate a 24,600-square-foot building in Pike County that will provide residential substance abuse treatment for women. Treatment services will include an emphasis on recovery-to-work support such as professional development, skills training and peer counseling. In addition to the funding for WestCare Kentucky, ARC also awarded on Wednesday a $1,100,000 grant to Ohio University in Athens, Ohio. The funds will be used to coordinate a regional network of treatment, recovery and workforce training programs anchoring a recovery ecosystem specifically for women in southeast Ohio. Both awards are part of ARC’s POWER (Partnerships for Opportunity and Workforce and Economic Revitalization), a congressionally funded initiative that targets federal resources to help communities and regions that have been affected by job losses in coal mining, coal power plant operations and coal-related supply chain industries due to the changing economics of America's energy production. With Wednesday’s announcement, ARC has invested over $148 million in 185 projects touching 312 counties across Appalachia since 2015, including more than 100 investments in Kentucky. ARC Funds are administered by DLG, an arm of the Office of the Governor dedicated to supporting local officials and communities. To learn more about grant opportunities available through DLG, visit dlg.ky.gov.